Professor Obafemi has reportedly published 14 scholarly books, 16 creative books, and over 70 journal articles in national and international outlets. Hey Buddy!, I found this information for you: "President Buhari Confers National Order of Merit Award On Prof. Olufemi Obafemi". 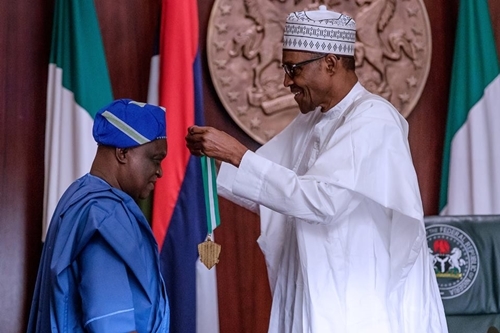 Here is the website link: https://headlinenews365.com/president-buhari-confers-national-order-of-merit-award-on-prof-olufemi-obafemi/. Thank you.